This is one of the easiest soup recipes I know, and fortunately it is also one of my kids' favorite soup recipes. If you've invited guests for Shabbos who have children or you need to prepare a tasty soup but have limited energy, this is the recipe for you. If your kids like to cook with you, this soup recipe is simple enough to prepare together. Simply saute the sweet potatoes, bell pepper, onion and garlic, add broth and seasonings, boil and cream with an immersion blender. 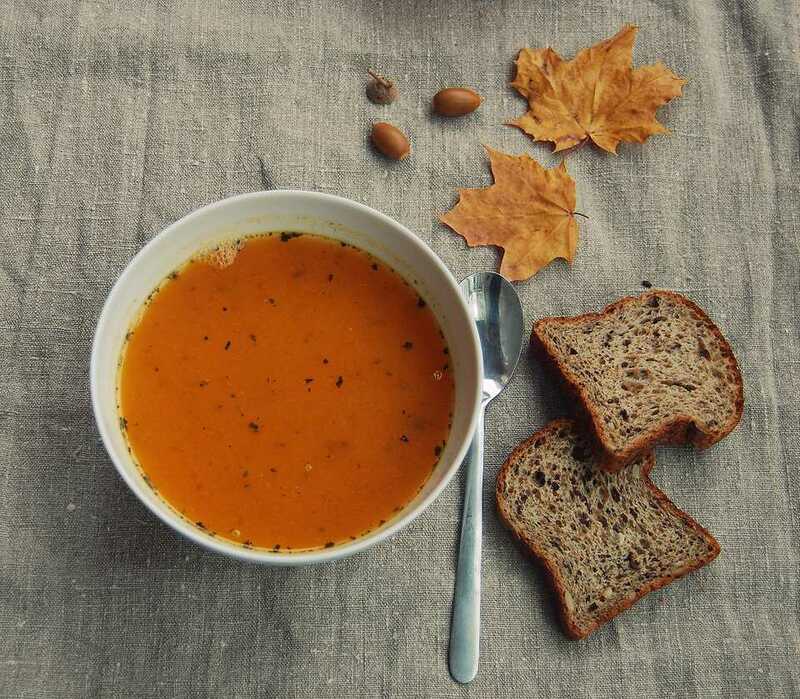 Healthy, quick and delicious soup. 1. Peel sweet potatoes, and cut each one into 8 pieces. Chop red pepper. Chop onion. Chop garlic. 2. In a soup pot, heat oil. Add sweet potatoes, red pepper, onion and garlic. Saute for 6-8 minutes, until onions are translucent. 3. Add hot water and chicken broth. Season with paprika, salt and pepper. Cover and cook over low flame for 30-40 minutes, or until the potatoes are soft enough to mash. 4. Using an insertion blender, blend the soup until smooth. 5. Season with salt and pepper, according to taste.